Volume Manager is a Mac OSX app used to organize, automate and monitor the mounting of Windows (SMB) and Apple (AFP) volumes/shares/disks. Easy to use Mac app to admin the mounting of Windows (SMB) and Apple (AFP) shares. Laptops can use Volume Manager to manually or automatically mount volumes at work and at home. Optional scheduling of mounting also monitor mount and remount of shares. Volume Manager can also be used to wake computers that are sleeping on an ethernet LAN. Volume Manager is a Mac OSX application used to organize, automate and monitor the mounting of Windows (SMB) and Apple (AFP) volumes/shares/disks. Easy to use Mac app to admin the mounting of Windows (SMB) and Apple (AFP) shares. Laptops can use Volume Manager to manually or automatically mount volumes at work and at home. Optional scheduling of mounting also monitor mount and remount of shares. Volume Manager can also be used to wake computers that are sleeping on an ethernet LAN. Volume Manager can also be used to wake computers that are sleeping on an ethernet LAN. If you need to mount disks from elsewhere on your network then Volume Manager can make your life easier. Volume Manager does just what its says, it holds a list of volumes (hard drives on other computers) with the necessary username and password and will automatically mount them whenever you want. Better still it watches and makes sure that they stay mounted if the network status changes. 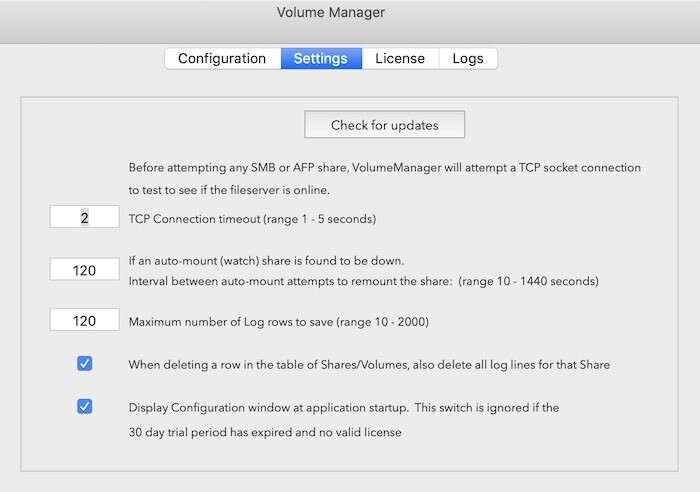 Volume Manager can keep an eye on a mount and if a server goes down (and the mount disappears) Volume Manager will remount the share when the server comes back online. However, for this to happen, you need to check the “Monitor this mount and keep it mounted” switch. Optional scheduling of mounting also monitor mount and remount of shares. Volume Manager can also be used to wake computers that are sleeping on an ethernet LAN. Volume Manager can mount Windows shares when the username is local to the server doing the sharing but Volume Manager does not support DOMAIN Server authentication at this time. We are currently working on Active Directory and Domain Server authentication. Again, this doesn’t affect regular non-DOMAIN Windows mounts. Volume Manager uses Bonjour to make mounting a local volume easy. Volume Manager can be setup to use one global user and password for all volumes. Volume Manager can wake up computers on a LAN. After checking out Volume Manager please purchase the app in the store to support it’s evolution. Go to our store and we will send you an email with a license key. We like to hear from you. Please send us your ideas, suggestions and bugs to fix. Thanks for supporting Volume Manager. - fixed intermittent issue of share/volume name changing to previous share name while user is writing in volume text field. Could anything make the app better? Let us know. Thanks. - fixed issue where unable to unmount the volume If local and share volume name is same. - minor ui and spelling corrections. Big thanks to users Don & Cain. Please keep the suggestions coming! - added 'check for update' button in the settings. - crash fixed crash that occured when shareAddress_URL is nil. Step 1. When you first start Volume Manager, no records will be present in the Identity Table. Click the + button at the bottom lief to add a new record. Step 2. The Mount Identity record is created is fake sample mount data. You need to modify the fake sample data with the data needed to successfully mount the volume. Start by changing the Mount Identity to a unique text string that will allow you to easily know what volume is being mounted by this record. Option 1. You can enter the IP address of the fileserver that holds the volume you are mounting. This is the safest and most accurate way for Volume Manager to always work. If you know the IP address of the fileserver, it is preferred that you enter it. The only reason why you would not want to enter an IP address is if you are mounting a volume from a computer that is getting an address dynamically (via DHCP) and the address is always changing. Then you must use Option 2 or Option 3 below. Option 2. As mentioned in Option 1, it is preferred that you simply enter the IP address of the fileserver; however, sometimes the fileserver IP address changes because the server is really just a laptop or desktop that obtains an IP address automatically. In this case, you can try to use the Zero Configuration option called Bonjour. Above the Identity Table is a button named Bonjour to see if Volume Manager can automatically discover the server using Apples version of zero config, named Bonjour. Click on the Bonjour button and a panel slides out listing all servers found on the network via Bonjour. If you see the server you want to use, just double-click that row and it will auto-populate the fileserver text field with the correct information. As long as the fileserver does not change names, you should not need to modify this field again. If you are wondering how a fileserver sets this hostname, on an OSX computer, the fileserver bonjour name is set in Apple->SystemPreferences-> Sharing configuration panel. Set the name in the Computer Name field on the server. Option 3. If your place of business uses their own DNS server and they have properly configured a hostname for this fileserver inside of their DNS server, then you may enter the DNS hostname of the server. The only requirement is that Volume Manager will attempt to convert this hostname into an IP address and if it fails, then Volume Manager will display an error saying the hostname is not resolvable. Which means the text string you entered could not be turned into an IP address. Step 4. Enter the name of the volume that the server is making available to be mounted (this is called Sharing) and that you are trying to mount. If you are unsure what this is, you should select the Finder and then enter Command+K and it will open a window that lets you enter data to mount a server. If the server is a Mac, enter afp://1.2.3.4 (where 1.2.3.4 is the IP address of the server). If the server is a Windows server, enter smb://1.2.3.4. You will then be prompted for your username and password and the server will authenticate you. You will then be presented with a window that displays all the volumes the server is sharing. It is one of those volume names being displayed that you should enter in the Volume or Share Name field of Volume Manager. Essentially, Volume Manager lets you automate the mounting of volumes. The volumes are just like the volumes you saw in the Command+K output but can only mount a volume if the server is Sharing it (or making it available to be mounted). If you do not know the volume or share name and you cannot determine it from Command+K, you need to contact the person that manages the fileserver (or computer) and ask them. Step 5. When Volume Manager mounts a volume on your behalf it must provide the fileserver with username and password to authenticate you to the server and if the username and password is valid, then you will be granted access to the volume. Normally a user of Volume Manager will have the same username and password for all servers; therefore, on the bottom right there is a Global Username and Global Password field. Enter your username and password there. If you ever need to use a different username and password (other than the Global) for a certain server, then you would select the checkbox for Use Separate Username/Password for that Mount/Record. This tells Volume Manager not to use the Global username/password for this server but instead use the username/password you have specified in the Separate Username/Password text fields. Monitor and Remount: checkmark this so that the share is monitored and and if the volume is found unmounted, auto remount if possible. Mount – Mounting is a process by which the operating system makes files and directories on a storage device available for users to access via the computer’s file system. Mount Point – A mount point is a directory (typically an empty one) in the currently accessible filesystem on which an additional filesystem is mounted (i.e., logically attached). A filesystem is a hierarchy of directories (also referred to as a directory tree) that is used to organize files on a computer system. Network sharing – Network sharing is a feature that allows resources to be shared over a network, be they files, documents, folders, media, etc. … By connecting a device to a network, other users/devices in the network can share and exchange information through this network. Network sharing is also known as shared resources. 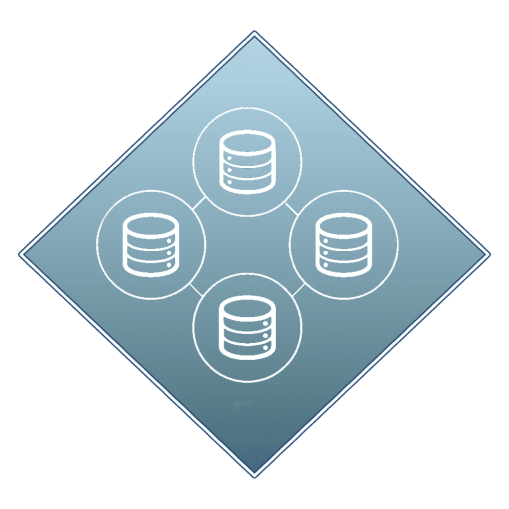 Server – A server is a computer, a device or a program that is dedicated to managing network resources. Servers are often referred to as dedicated because they carry out hardly any other tasks apart from their server tasks. Share – A resource on a local network that can be accessed by others. A network share is typically a folder on a PC, Mac or server. Q: I can’t add more shares? A: The name of each drive in volume list needs to be unique within the list. For example if mount point ‘Development’ is already in the list. You can’t add another volume with the same name in list and will give the error ‘Mount Point already being used’. Q: Why doesn’t my share remount automatically? A: Drive remount works only if checkbox ‘Monitor and Remount’ for that drive is enabled. If you manually unmounted any drive, then you need to enable ‘Monitor and Remount’ checkbox again if you wanted that drive to remount automatically after the specified interval.